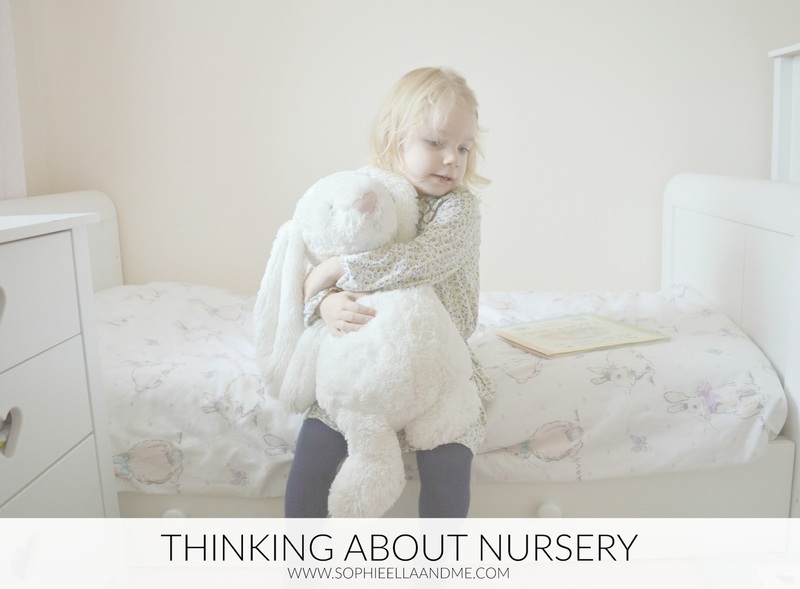 As I'm currently a stay-at-home mum, I haven't really felt the need to put Sophie in nursery. Until now that is. Although she has quite a few friends her age who she sees fairly often, I've started to think nursery would be a good option, for both of us. We're pretty lucky and have plenty of support around us and family who are more than willing to look after her too, but at the moment she is just constantly bursting with energy and she loves being around other children - so I really think she will enjoy going. Just for a day or so a week. It means she gets used to being away from me for a short while and she can develop her own independence too. Sophie turns 3 in June, so she will then qualify for the government funded 15 hours for nursery, but she won't start until the term after - which is September. And that seems ages away! I'll be going back to work part-time in the next few months, which means I'll still get to spend plenty of time with Sophie, but we will also get a bit of a break from each other and I can earn some extra income for our family (which also helps!). I think I'm going to have a look around a few nurseries soon and weigh up our options. Hopefully we can afford it, as nursery fees seem so expensive! I'd love to know your thoughts on this. What age did your children start nursery? I used to be a Nursery Teacher so my daughter started as a baby. It can be expensive so I guess shopping around might be a good idea and checking them out really carefully! I'm sure she will love it and just one piece of advice... the little ones can sometimes cry when mummy leaves but the reality is they stop as soon as your gone and then grizzle when you return to make you feel bad..and they have had a fantastic time.